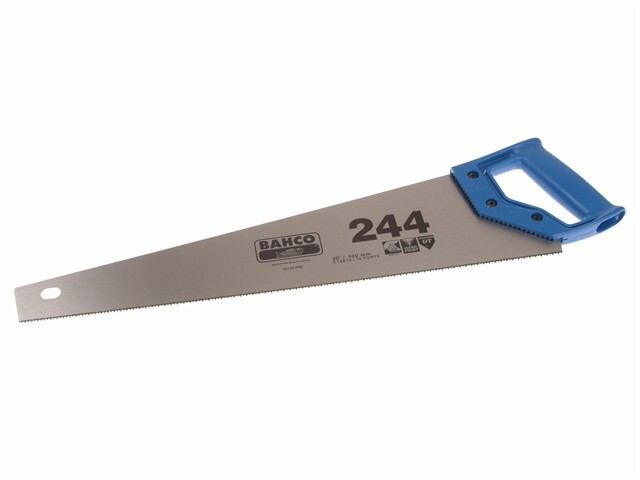 The Bahco 244 Hard point Handsaws feature a universal tooth set with high frequency hardened teeth giving up to five times the life of conventional teeth. Particularly effective for cross cut and rip performance on chipboard, hardboard and hardwood. The plastic handle incorporates 45º and 90º marking guides and is securely screwed to the blade.